This is the third section on Django - the Python based web framework. See first Step 1 and Step 2. No change - we're working with the same data structure! The really important thing here is that we have removed ALL of the html from this code, and in now purely translates the information held in the model into values that we're going to make use of in our template to view the the data - that's where the HTML should rightfully be! 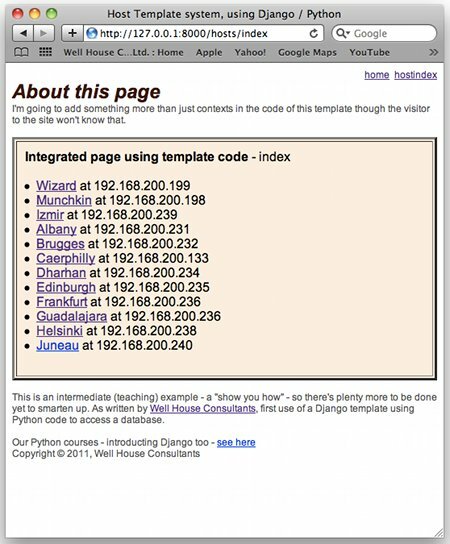 exactly because they were not safe (or at least they weren't wise) - these are the elements which include various bits of HTML which we generated within out Python, rather than keeping them purely at the template level. 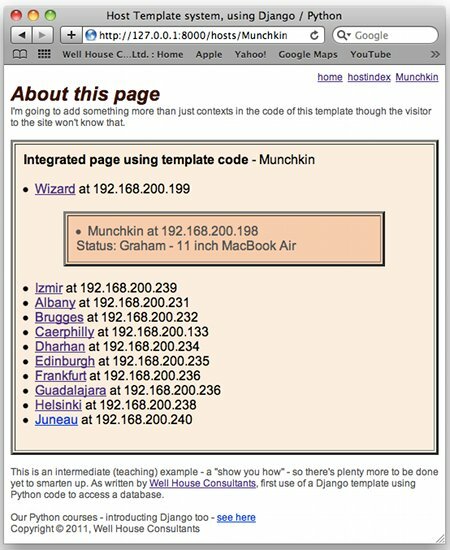 Which places the HTML firmly (and only) in the template. We'll do something similar with the list of systems, and add into there the ability to highlight an item so that we can use a single template for the listing, and also for individual pages - and that will bring in progamming-style tags like if and while. It's "Dry" - it's non-repeating. The changes are distributed over the three files - the template, the view.py and the urls.py (and they could bring changes to the model too), but each change is made only once. And we've now got excellent separation from the look and feel, represented by the template, and the model, with the view in between providing the manipulation code for the data. Training Classes - should the training company provide a system for each delegate to use? A time to be brave? We should ask for what is best for our area. The Model, View, Controller architecture (MVC) - what, why and how. What does an browser understand? What does an HTML document contain? 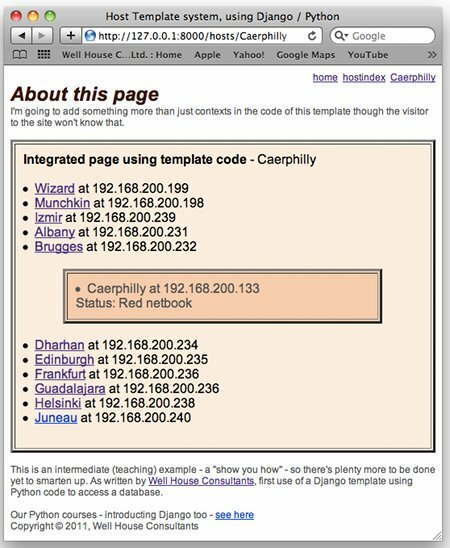 Why use BBC code not HTML?